Cut paper design for Funding for the Arts. Black paper, 9 x 12 inches. Funding for the Arts was my first book design, for my brother, David. Here is what he wrote about it: "This book consists of 24 poems. 12 of them are prose poems and 12 lyric poems. 12 of them are very small and 12 somewhat larger. 12 of them have titles and 12 not. The author has no particular obsession with the number 12, but he is fond of the number 4 and several of its multiples. He also thinks skunks and sparrows are always worthy of attention." The House Will Not Be Quiet is the second book I designed, also for my brother. Here is his description of it: "This book consists of one poem written in a fever of unknown origin, from which the author remains uncertain he has recovered. His doctor was last seen in a Kentucky casino and is unavailable for comment." In 1993 my brother, David, along with a few of his friends who lived in various regions of the United States, started a long distance poetry group. It was to be a way to keep in touch and encourage each other’s writing. They decided that, once a year, in January or February, everyone who wanted to participate for that round would propose a "workpoint" from which each would write a poem. This was not necessarily to be the topic of the poem, nor its title, but might have any kind of connection to it the poet desired. The workpoint could be a single word, a phrase, or even an entire sentence. By the end of the year, each participant would send their completed poems to all the group members. It has been a successful venture and continues to this day. In 1999 I joined the group. In 2006 I began studying Classical Chinese poetry and soon found myself working on my own versions of poems from the T'ang Dynasty. The following year I hit upon the idea of incorporating the Chinese verses into the poetry project by pairing my translations with my original work. I found that working with the two poems together served to create new opportunities for the workpoint studies. The poetry in this book represents the best of my pairings for the years 2007 - 2009. My sixth book design, and my fourth poetry book, is called A Way With Words. This one was written by my mother, Clare Westendorp. She has been writing all her life and this book pulls together the best of her work over the years. She and my dad live in Grand Rapids, Michigan where she still writes. She also has started a writing group in the retirement complex where she lives. 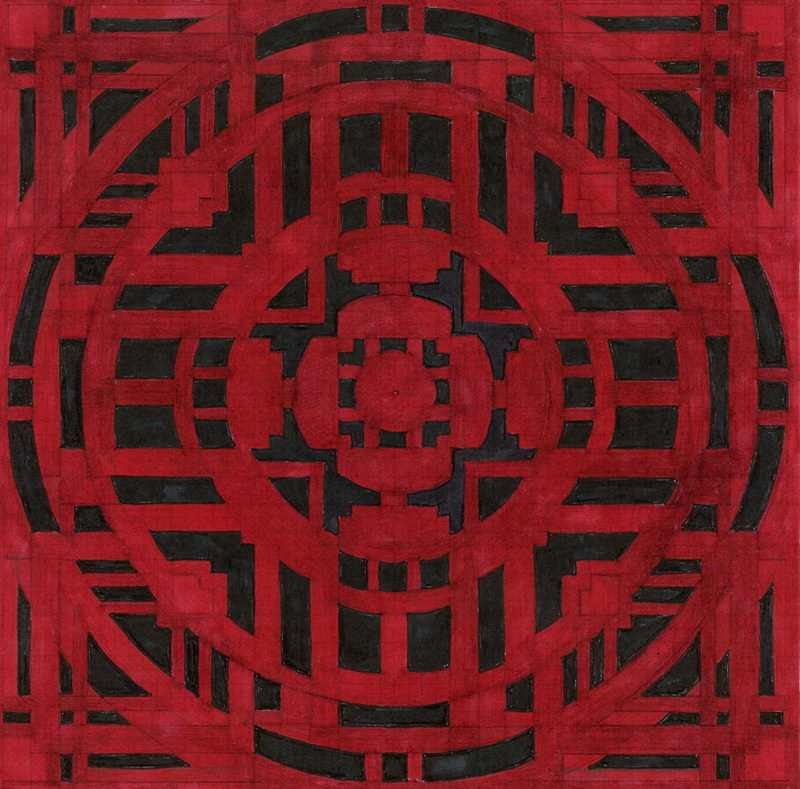 The cover image is a detail from an acrylic painting I did in about 1989 while a student at the University of Minnesota. This is the third book I designed for my brother, David, a wonderful poet. 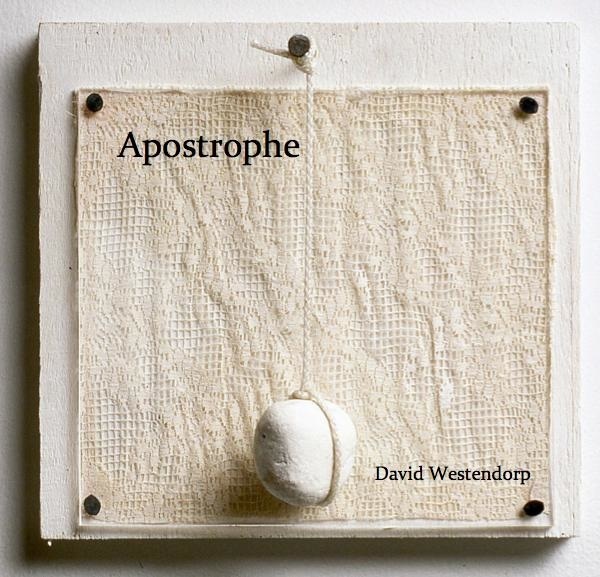 "Apostrophe is the text of an after dinner speech the author gave one evening in 2011. As he was dining alone, the critical response was mixed." It is a single poem in 23 parts. The cover image is from my own Suspended Series, which you can find under "Gallery of Visual Artwork, Early Still Life Work." A book of translations of Ancient Chinese Poetry. My own versions of classic Chinese poems of Wang Wei, Li Po, Tu Fu and others. This is a collection of 52 of my favorite works. Why do I live here in these green mountains? I have no answer for you but my heart's smile. There is a world that is far from human cares. The cover design is also my own. It is split between the front and back covers. The full design can be seen below. As with Bamboo Cottage, in this volume I pair my own poems with translations I have done of ancient Chinese poetry, but this volume is more extensive, with updated versions of many verses. As with all the other books I have designed for poetry, this cover is my own, a painting from the "Suspended Series."